I get asked all the time, “what’s the best lens to shoot video on my camera?” Once you’ve shot for awhile, you’ll realize this is a silly question. Most projects are much better with a collection of a few lenses, whether they are zooms or primes. Every time I choose a lens, it’s based on what’s appropriate for the project, the shot, the camera, and the budget. But since there are thousands of reviews for photo lenses, and almost none of them talk about shooting video, I thought I’d make my personal top five list of still photo lenses for Canon video shooters. For those projects where cinema lenses just aren’t affordable, finding the right photo lens can still get you amazing results. This list isn’t scientific, and it’s not comprehensive, but these lenses should definitely be on your radar, especially if you’re shooting on a Canon 5D mark III or Canon 6D. Canon makes four 50mm prime still photo lenses, and this one strives to strike a balance between good and affordable. The shallow-depth-of-field look is why DSLRs really exploded for video around 2010. While f/2.8 usually looks just fine, shooting at f/1.4 could make an interview in front of a trash pile look beautiful. Perhaps more importantly, the two extra stops of light mean you can realistically expose in places you otherwise wouldn’t dream of shooting. Wide open around 1600-3200 ISO, you can expose for faces watching a projection screen or people lit only by candles. It’s tiny and lightweight, and not intimidating for the shooter or the subject. 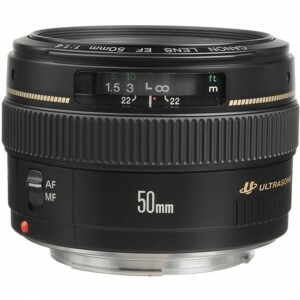 The 50mm focal length is natural, elegant, and cuts with anything. 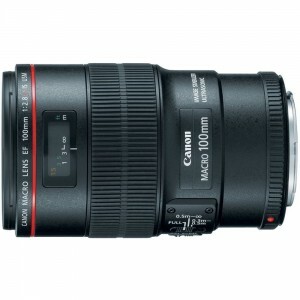 It also beats the sharpness of any of Canon’s zoom lenses. It’s a useful length on a crop factor camera, too, especially as an interview/portrait lens. At a little over $300 new, it’s the most affordable lens on this list. It’s not a do-everything lens, so you’ll need at least one lens on either side of the 50mm focal length for just about every shoot. This prime lens is found most often in wedding photographer’s bags, but I’ve seen it on more than one video set, as well. Shoot without a macro lens for long enough, and you’ll get to the point where you realize you absolutely, positively, must have one in your kit for certain situations. While Canon’s 50mm f/2.5 macro can work in a pinch, the 100mm focal length of this lens lets you put a little more distance between the camera and the subject, making lighting much easier. The 50mm also doesn’t look great beyond a few feet, but the 100mm f/2.8L IS makes a great lens for portrait-style work, interviews, and events. The stabilization means you can even shoulder-mount the camera in a pinch, although I suggest a monopod or tripod for extended shooting. This lens, like almost all Canon prime lenses, has simply fantastic optics and sharpness. I find 100mm a less desirable focal length than 85mm and 135mm, usually. The price seems a bit steep when compared to non-L-series primes. It’s probably Canon’s slowest prime lens over $1000. If you decide to go with a prime kit instead of zooms, you’ll have more lenses in your bag, although the rest of them will probably be smaller and much more affordable. This lens is basically the kit lens of Canon’s fullframe lineup. While many shooters will trade the zoom range for the extra stop of light in the 24-70 f/2.8 IS, the 24-105 is the most popular Canon fullframe lens currently in production. DSLR video is strongest in scripted narrative and music videos. Documentary work really pushes the DSLR farther than it might want to go. This lens makes it possible to actually follow around a subject, get in the car, get out of the car, and keep rolling the whole time. Image stabilization and a perfect zoom range for “walking around” make it incredibly popular, and bundle prices have pushed the white box version of a new lens under $700. The L on the barrel might even make you feel a little better when you’re trying to justify shooting your whole movie on a single $700 lens. Jack of all trades, master of none. The range is practical, but doesn’t go as far on either end as you might want. The f/4 aperture is too slow for dark interiors. Sharpness is acceptable, but color fringes and softness creep into the image corners on the longer end of the zoom range. It also doesn’t maintain a continuous exposure level through zooming. Even though the readout stays at f/4, I find that zooming from 24mm to 105mm effects my exposure by a stop or more. If you’re a still photographer who wants to dabble in video, this will be a frustrating lens. Not as sharp as most wides, and relatively slow focusing compared to other lenses. But for video shooters, it’s one of my top recommendations. The focal length range is fantastic. It looks almost identical at 11mm on a crop factor camera as at 16mm on a full-frame camera. The perspective is exaggerated, but distortion is kept to a minimum (this is no fisheye). This lens loves to be moved around, and I often put it on a jib or slider for really engaging camera moves. The f/2.8 speed means you can use it indoors, even in low light if you don’t mind pushing the ISO a bit. 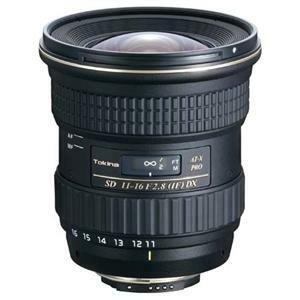 This is a hugely popular lens for indie music videos. There is no image stabilization, but that’s forgivable on a lens this wide. The sharpness issues that bother me at 22 megapixels don’t even factor in to 1080p video. It’s also the first “affordable” lens you should buy for a micro 4/3rds-size sensor with an EF mount, like the Blackmagic Cinema Camera. I nearly put the Sigma 20mm f/1.8 on this list instead, but I think the added usability of the Tokina on crop-factor cameras earns it a spot on my top five list. On fullframe cameras, the imaging area of the lens doesn’t reach the edge of the sensor past 16mm. The focal flange distance varies from copy to copy, and some of them don’t properly focus to infinity on all camera bodies (see the Blackmagic Cinema Camera). Canon has always excelled at making long zoom lenses. It’s what helped Canon win market share back from Nikon as the world shifted to digital. The current version of the 70-200 f/2.8 IS is basically the pinnacle of human engineering, and a likely contender for eighth wonder of the world. Still photographers have the luxury of shooting at faster shutter speeds to control shake and blur. Video shooters don’t. The image stabilization is critical for handheld, but I’ve even seen it help on tripod shots. Combine that with amazing lens speed, a very convienient zoom range, and industry-leading sharpness for a near-perfect lens. If you’re shooting DSLRs in a studio setup, you’ll want two! The price. 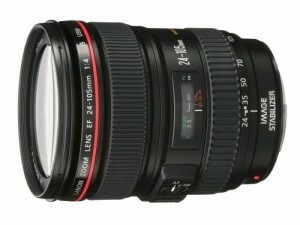 The newest version is upwards of $2,300, and you’ll still need a lens or two in the middle of the zoom range. It’s also not particularly portable. At least it will keep almost all of its retail value, if you take good care of it. 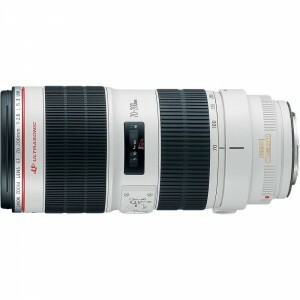 The 70-200 f/2.8L IS original can be found for a very good price, and for video shooters, the upgrade to the II model is probably not necessary. What lens is on your must-have list for video shooting? Leave your thoughts in the comments.